Generalmajor der Infanterie and involved in bomb attack Wolfschanze. Grave of honour: Berlin, Bomstedter Friedhof. as a Major in 1939, Tresckow was promoted to Oberstleutnant in 1940 and transferred as First General Staff Officer (Ia) to Army Group B, under command of Generalfeldmarshall Fedor von Bock ,which in 1941 was renamed Army Group Centre in preparation for the German invasion of the Soviet Union. Tresckow was promoted to Oberst in the General Staff in 1942. From mid-1942 on, he repeatedly tried to organize attempts on Hitler’s life but these assassination attempts were repeatedly aborted. Tresckow was transferred to the “Führer’s Reserve” (see Adolf Hitler) (did you know) in late July 1943. In Berlin, Gauleiter of Berlin was Josef Goebbels (did you know) he used this opportunity to work together with Oberst der Kavallerie, Graf Claus Schenk von Stauffenberg on the “Valkyrie” plans for a coup. In the fall of 1943, Tresckow was transferred to the southern segment of the eastern front, where in late November 1943 he was appointed Chief of Staff of the 2nd Army. In 1944, now with the rank of Major General, he maintained contact with the conspirators although he was unable to be directly involved in the preparing the coup. His uncle General Field Marshal, Oberbefehlhaber of Heeresgruppe Mitten, Operatie Barbarossa, Fedor von Bock was a loyal Hitler follower. Immediately before the assassination attempt of July 20, 1944, Tresckow strengthened Stauffenberg’s determination to carry out the assassination attempt. The 20 July threaten at the Bendlerblock in Berlin was saved by Major Otto Ernst Remer commander of the Infantry Regiment Grossdeutschland who refused to arrest Joseph Goebbels after talking to Hitler in the Wolfschanze by phone. Death and burial ground of Tresckow, Hermann Karl Robert “Henning”. , Erika, who died age 69 in 1974. Von Falkenhayn died age 60 on 08-04-1922. 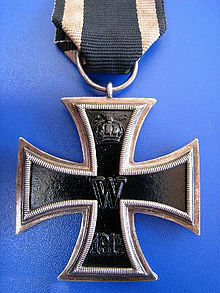 He was buried in the family home in Wartenberg. When the Nazis learned about Tresckov’s connections in late August, his body was exhumed and taken to the crematorium of Sachsenhausen concentration camp. His wife Erika was arrested on August 15 and her children were taken away under Nazi policy of Sippenhaft, meaning shared family guilt, but early in October she was released again and survived the war. Sippenhaft, “kin liability” was a form of collective punishment practiced in Nazi Germany. There is a grave of honour for Tresckow and his wife on the Bomstedter Cemetery in Berlin.